The master of the Fender Tele talks guitars, amps and more. Brad Paisley is a critically acclaimed singer, songwriter and guitarist who has earned three Grammys, 14 Country Music Association Awards, 14 Academy of Country Music Awards, and membership in the Grand Ole Opry, among many other honors. Since his first #1 single in 1999, he has placed 21 singles at the top of the charts. 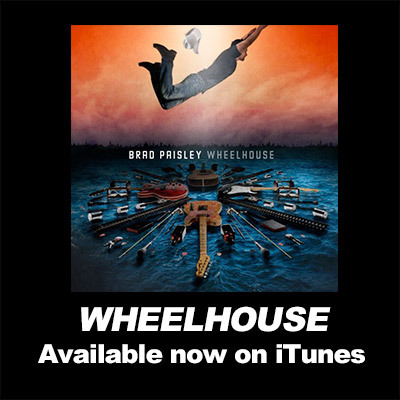 His latest album, Wheelhouse, finds him as writer or co-writer of all of the tracks and, for the first time, stepping into the role of producer as well.